Sun Hats & Wellie Boots: I Love You to the Moon and Back! This bright bold card is perfect for sharing a little love with someone special, & offers preschoolers an opportunity to explore basic shapes, colour & design! 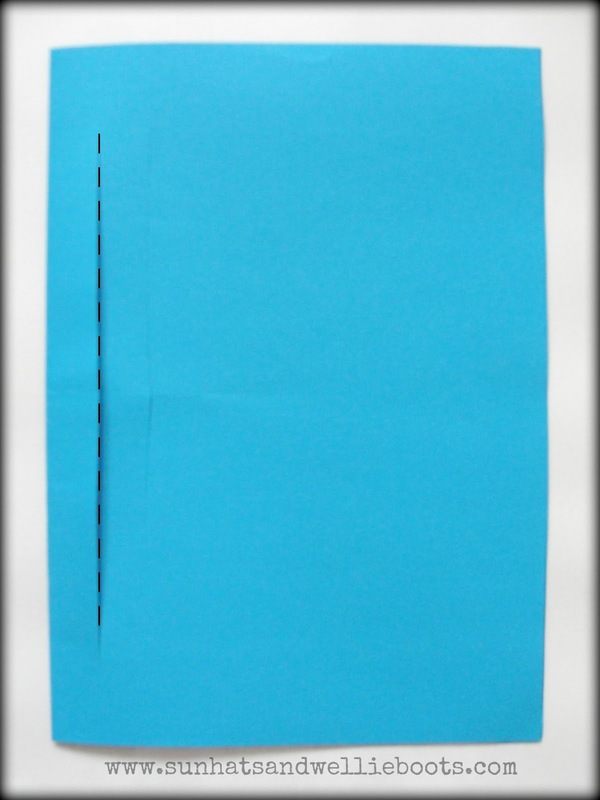 To make the card fold a sheet of thin A4 card in half, & cut a line through both sheets of card near the fold, as shown in the image below. 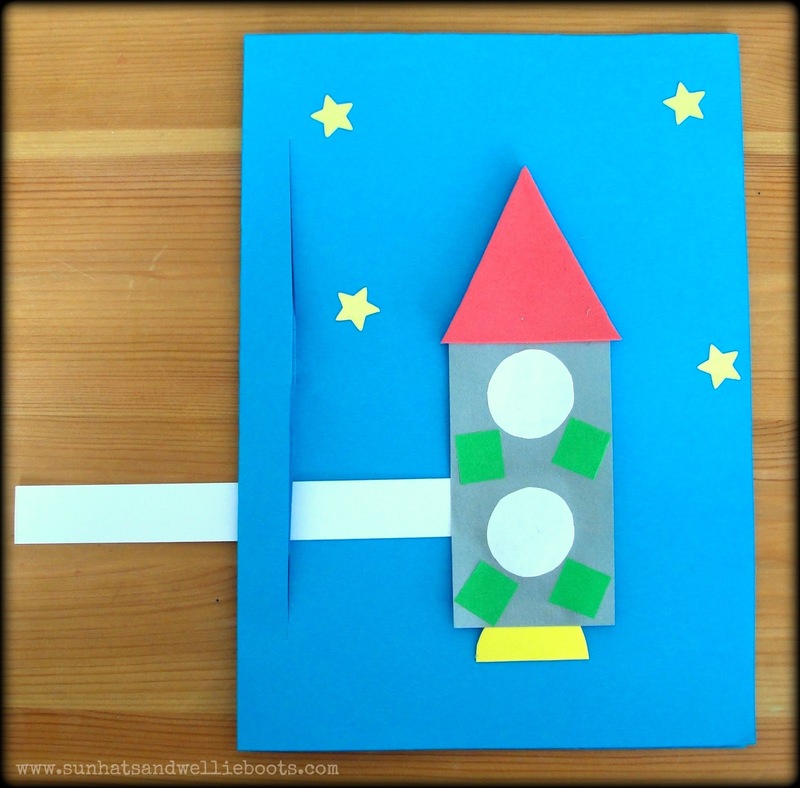 As I was setting up this craft for toddlers I cut out a selection of shapes that they could piece together to create a simple rocket. 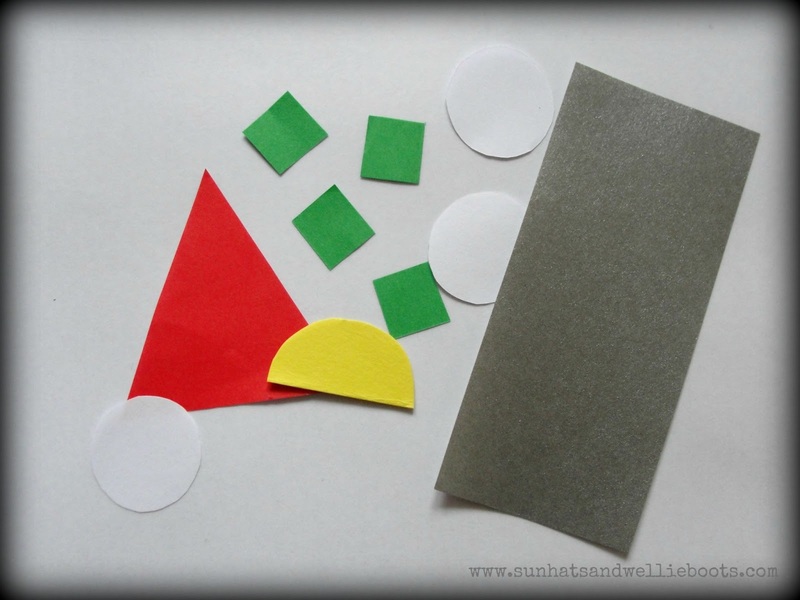 Using these basic shapes & colours was a great way to encourage recall skills, & explore the size & properties of the shapes. 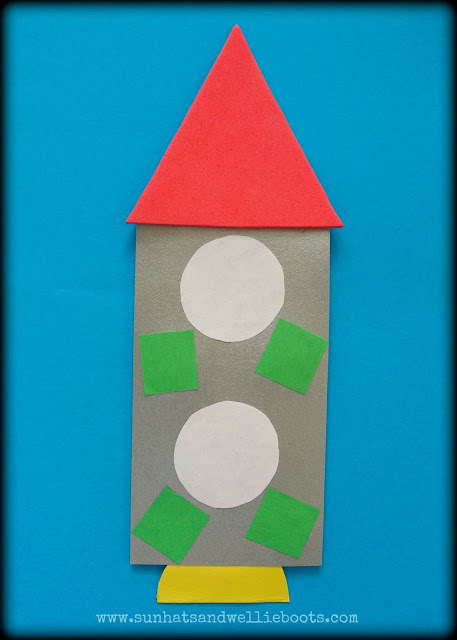 We used bold colours, but you could of course create a rocket out of anything & use any shapes, materials etc. 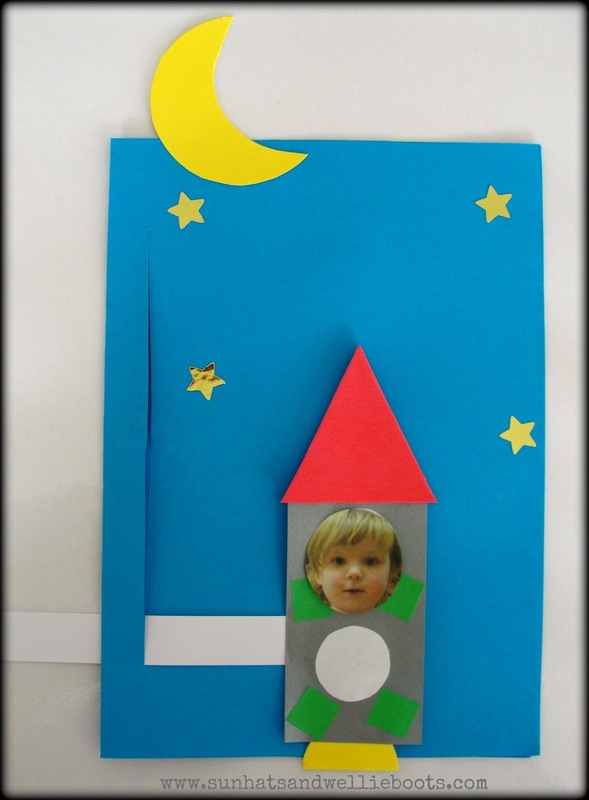 I'm sure older children would have fun designing & creating their own space rocket. Here's my rocket, but I saw many more creative designs produced by the children. To make the rocket 'fly' to the moon we taped a strip of card to the back of the rocket & threaded it through the slits in the side of the card. We added a few shiny stars to create a twinkly backdrop too. 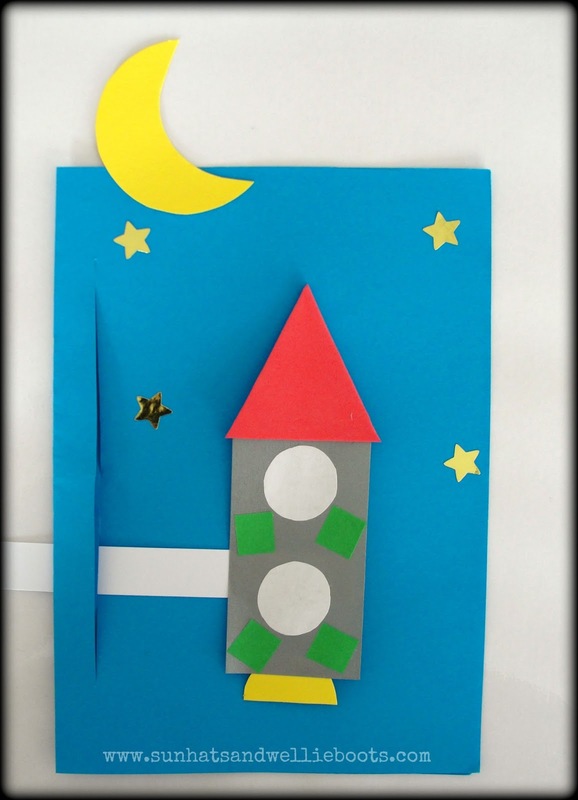 The crescent shaped moon (an opportunity to explore another shape) was stuck to the top of the card & our cute card was ready to write in! 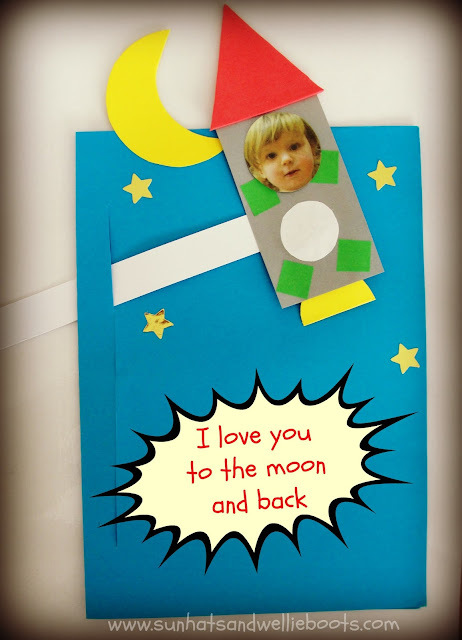 One little card sent with a whole lotta love... to the moon & back again!